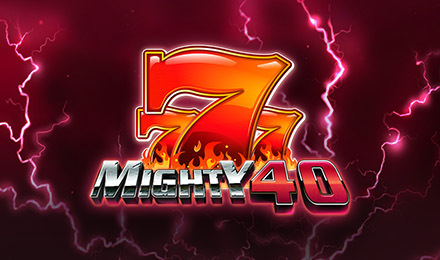 Mighty 40 Scratchcard is one of the most popular games around – play today to find out why! The wins are better than ever so start scratching! If you’re looking to have a fun whilst winning big, then play Mighty 40 Scratchcard today! There are huge jackpot wins, and the accompanying soundtrack will guarantee that you have a good time. You’ll enjoy an exciting win every time 3 matching symbols are uncovered on the 3x3 grid. You can do this all at once by clicking on ‘Scratch all,’ or simply roll your mouse over the board to see if you’ve won.